I’m one of those people who is always late to a party because I can’t decide what to wear. I’m also someone who creates elaborate last-minute projects for those parties. 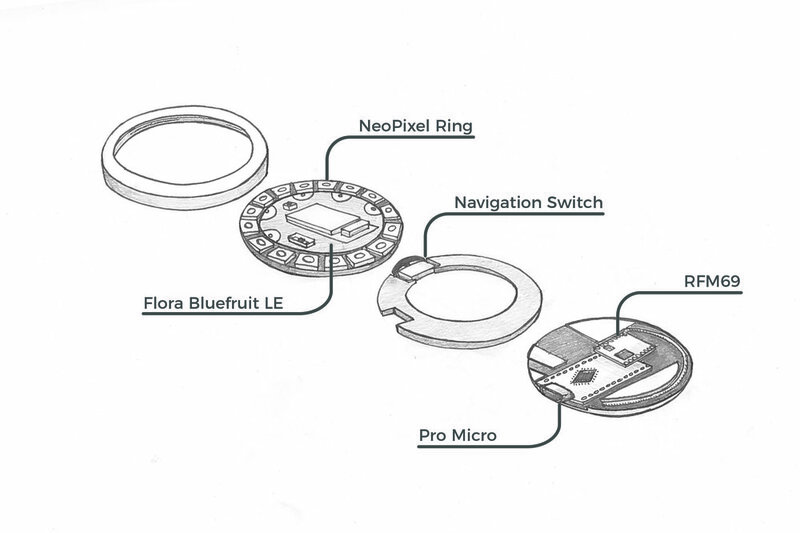 This project was designed and created in less than week for me to wear out to the SparkFun Electronics holiday party. 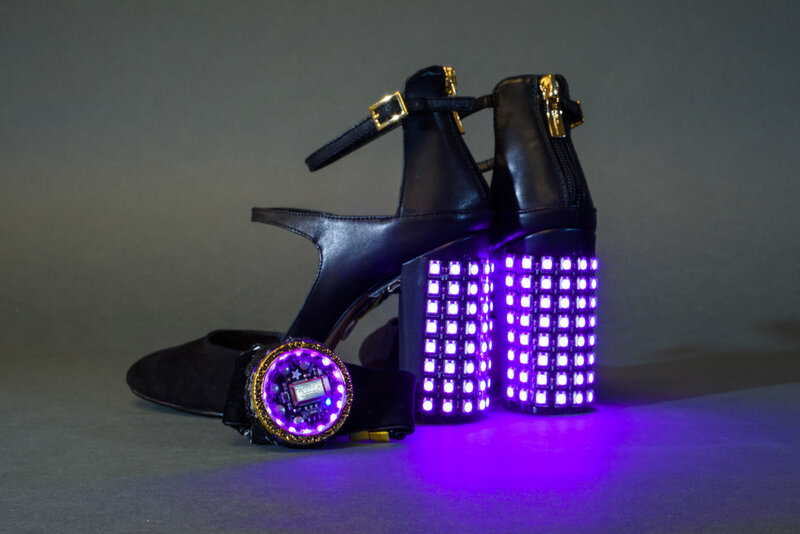 LEDs on the heels are wirelessly controlled by a matching bracelet connected to Adafruit’s free Bluefruit LE Connect app, allowing for quick color changes for any occasion. 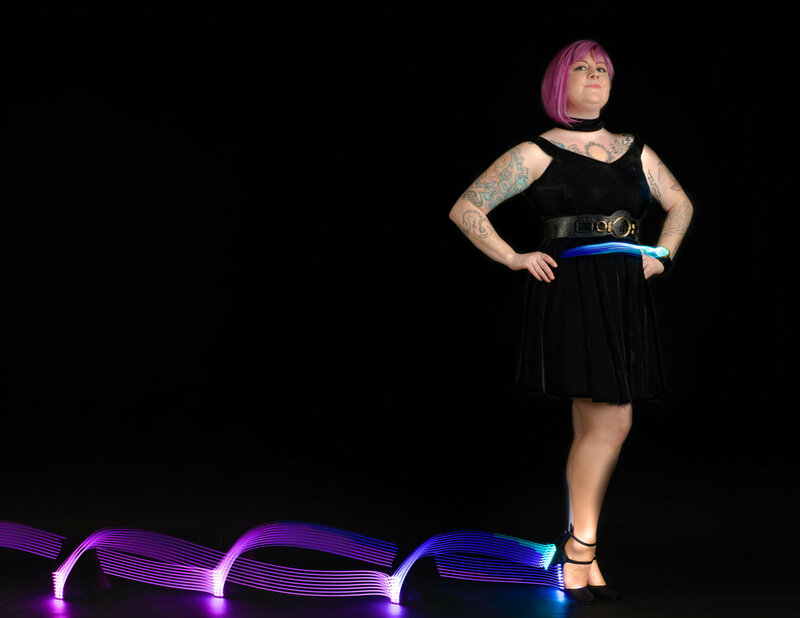 The magical effect of instantly controlling color through a smartphone is a great way to interact with other partygoers — let them try changing your look! 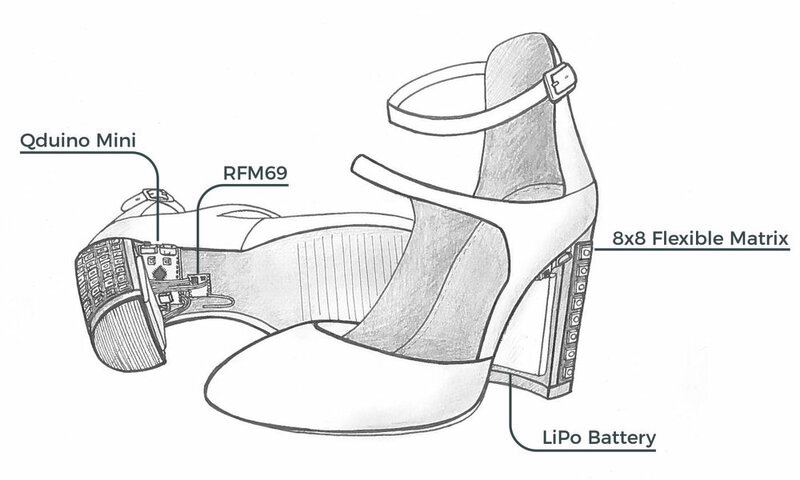 It’s easy to replicate with a little time, patience, and the perfect pair of pumps. Check the full project out in issue 63 of Make Magazine available May 2018. Here are some photos and videos of my build process.